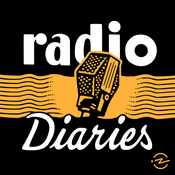 Radio Diaries ist ein Podcast aus der first-person Perspektive auf das Leben. In the early 1970’s, author Studs Terkel went around the country with a reel-to-reel tape recorder interviewing people about their jobs. He turned these interviews into a book called, “Working.” After the book was released in 1974, the tapes were packed away in Studs home office. 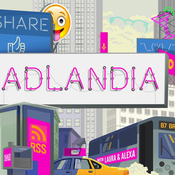 A few years ago, we at Radio Diaries, along with our collaborator Jane Saks of , were offered the chance to make a radio and podcast series out of the recordings. In today’s episode, we bring you some of our favorite stories from The Working Tapes. Before the U.S. Supreme Court's decision in Roe vs. Wade, abortions were illegal in most of the United States. But that didn't mean women didn't have them. Hundreds of women were dying every year in botched abortions. In 1965, an underground network formed in Chicago to help women who wanted to have abortions, in a medically safe way. At first, they connected women with doctors willing to break the law to perform the procedure. Eventually, women in the collective trained to perform abortions themselves. Today on the Radio Diaries Podcast...The Story of Jane. And a heads up - this story includes some graphic descriptions that may not be appropriate for all listeners. On February 20th, 1939, 20,000 people streamed into Madison Square Garden in New York City. Outside, the marquee was lit up with the evening's main event: a "Pro-American rally." Inside, on the stage, there was a 30-foot tall banner of George Washington, sandwiched between American flags...and two huge swastikas. Today’s episode is a special collaboration with The Memory Palace. *** This episode is sponsored by Care/Of, a monthly subscription vitamin service. For 50% off your first month, go to and enter radiodiaries50.